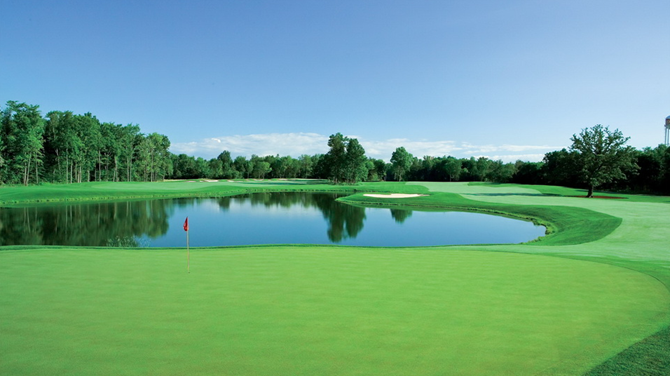 A warm welcome back to our valued Members and Guests of Grand Niagara Golf Club as we embark on the 2016 season! 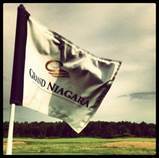 To kick off the season Grand Niagara hosted the 2nd Annual Golf Ontario Team Ontario Cup. The Province’s top Junior Girls and Boys from Team Ottawa, Niagara, Waterloo, Essex Kent, York and the Ontario Provincial Team competed April 22 to 24. For a full recap of the Event click here. Upcoming Schedule: The Golf Ontario Men’s Amateur Qualifier takes place on May 17th, the Pro/Super Annual Golf Event hosted by the Ontario Golf Superintendent Association on June 6th and the Air Traffic Controllers Annual Charity Golf Event on June 9th. Our Annual Grand Niagara Titleist Demo Day takes place Saturday June 25th from 11:00am to 3:00pm. Please make plans to attend and try all the latest Titleist and Vokey clubs! Golf Lessons: Grand Niagara has 3 PGA of Canada Professionals on staff available for teaching: Bob Culig PGA, Head professional, Caleb Ellis PGA, Assistant Professional and Laurie Rybski PGA, Teaching Professional. Please contact the Pro Shop for details on programs and pricing. We are very excited to be adding Laurie Rybski and Dale Duquette to our fantastic Pro Shop Team in addition to adding Joe Miszk as the new Food & Beverage Director! Laurie Rybski (PGA) served as the Associate Golf Professional at the Ladies Golf Club of Toronto for 25 years. A teacher and innovator, Laurie has used imaginative teaching methods to grow her database in the GTA. A few of her career accomplishments include being the 2005 Ontario Ladies Champion and 2007 Golf Professional of the Year. Residing in Niagara, Laurie looks forward to bringing her teaching and game improvement methods to the Club this season. Dale Duquette is currently enrolled at Niagara College in the Professional Golf Management Program. Hailing from Welland, Dale’s interests include golf, hockey, lacrosse and soccer to name a few. The staff and management wish Dale much success this season. Joe Miszk is a very well-known name in Niagara as the Owner of Betty’s Restaurant in Chippewa. Betty’s has been a fixture in Niagara for over 48 years specializing in home cooked meals with features like fish and chips, prime rib, daily soups and famous homemade pies. This season at the Riverside Grill, Betty’s is providing an exciting, new menu for our Members and Guests as well as special menus for banquets and tournaments. An avid golfer, Joe is a past Club Champion at Lookout Point GC and has served on its Board of Directors. Mr. Miszk is married with three children. Community work, spending time with family, a keen interest in para-sports and the Special Olympics keeps Joe very busy. We are happy to have you part of the Team Joe! They say every year is different and this year is certainly no exception. The warm winter conditions with little snow gave everyone lots of hope for an early opening; however Mother Nature has provided us with a very cold spring. That being said it has been an unusually dry spring, the golf course has wintered very well and other than waiting on some warm weather to get the turf popping, the course is in very good condition. The Turf Department has a busy season planned with a few small projects about to begin or already implemented. All of the signage on the course has been updated. Granite yardage markers have been installed on our new Green Tees. Many fairway bunkers as well as greenside bunkers on holes 3, 8 and 16 are being updated with drainage improvements and new sand this year. There have been some new additions to our staffing for the season. Mike Grawey joins us as Assistant Superintendent. Mike has over 20 years of experience as a Superintendent at a few different local courses and we are very fortunate to have him join our team. Kam Anderson joins us as a Lead Hand, moving over from Hunters Pointe where he was the Assistant Superintendent. We also have a few new faces in our part time and full time crews. All in all, I look forward to an excellent season with a very experienced and motivated Turf Crew whose whole purpose is to provide the best playing surface we can on a daily basis. As we enter 2016 we are happy to say that the majority of our new merchandise has arrived and I’d like to share with you some of our exciting new product lines! Our clothing lines will include Adidas, FootJoy, Dockers and Sligo. We offer shirts, layering pieces, shorts and jackets in these lines. Pukka will be a new hat line for us, joining our Ahead line. We continue our strong alliance with Titleist and will be offering the ProV1 and ProV1X golf balls, along with the new editions of the NXT Tour, Velocity, DT Trusoft and Pinnacle Rush & Soft. We carry the entire Titleist club line as well as Vokey wedges at great prices. FootJoy shoes will include GreenJoys ($89.95), HydroLite ($119.95) and Ladies Emerge ($119.95). Gloves carried include FootJoy Sciflex, FootJay Raingrip and the new FootJoy EX04. We carry many Grand Niagara branded accessories such as Towels, Flags, Ball Markers, Divot Tools, Hat Clips, Sunglasses and Canadian Maple Leaf knitted Head Covers. We price the majority of our merchandise very competitively with GolfTown, with our Titleist club pricing lower than GolfTown’s pricing. We do not stock a lot of club inventory but are able to order Titleist, Taylor Made or Callaway if needed. Please contact Caleb Ellis PGA, Assistant Professional for more information and pricing.